Contains 0.5% w/w s-methoprene. Containing the insect growth regulator s-methoprene, Biopren BMS acts by preventing reproduction and blocking growth of larvae in Pharaoh’s ant colonies. 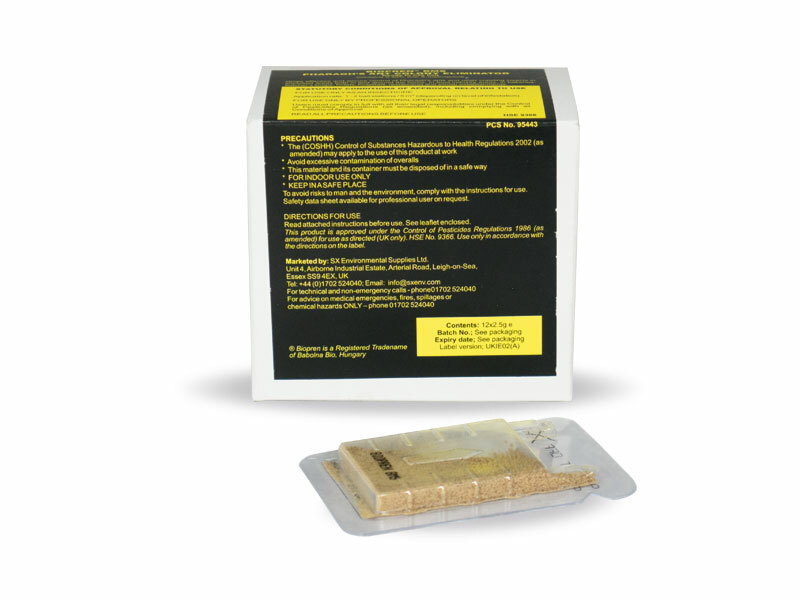 This granular bait formulation is contained in a ready-to-use container with a food attractant, which can simply be cut open and stuck to a suitable surface. This product can only be used by people who are required to use pesticides as part of their work and who have received appropriate information, instruction and training.